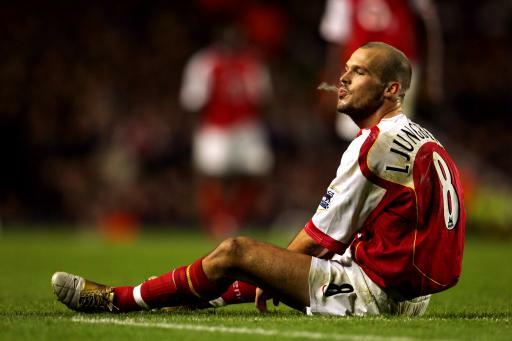 Former Arsenal popper-upperer extraordinaire Freddie Ljungberg has revealed that he has been approached by several English clubs about returning to these shores when his contract with MLS side Chicago Fire expires in January. “Not much has happened so far. My contract is up in the New Year, so I have to stay there for now. I will then look at my options and see what happens. “Unfortunately I had some issues in the last few years, but I’m confident of being able to play in one of the main leagues again. It’s hard to imagine any of the Premier League sides that could realistcally afford Freddie’s undoubtedly high wages being willing to take a pricey punt on an ageing player that has been ‘off the radar’ for nigh-on three years. That said, perhaps Aston Villa are preparing to plunder Arsenal’s hall of fame for the second time in six months? seems like a big sam gamble to me! All the Allardyce hallmarks are there.